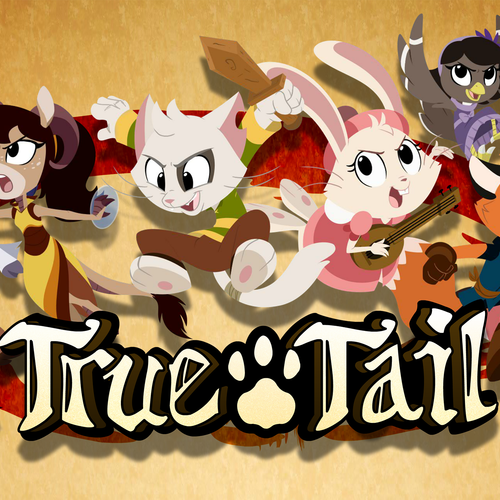 True Tail is a series that follows the adventures of Caleb, a kitten who wants to be the greatest hero SplitPaw has ever known. His story takes place in the medieval land of SplitPaw, an enchanted fantasy Kingdom full of magic, where one of the greatest professions a young child can strive for is to become a Hero! Luckily for Caleb and his friends, there is True Tail, a school for heroes-in-training. Within the school’s walls, a young hero can learn how to save a damsel, practice their swordsmanship, and discover what it takes to harness the magic in the land of SplitPaw. With their many different skills these young heroes are eager to start helping the people and the creatures that call SplitPaw home. However, since they are still learning, the audience will get to watch them overcome their mistakes by problem solving and working together. Another major focus of the show is to explore different cultures. By having Caleb meet mythical creatures that are part of folklore, in our own world, viewers get to learn and experience the customs and traditions of others in a fun and engaging way. The final product will be a 6-8 minute animated pilot. Currently, we are aiming for one short, but if our Kickstarter reaches its stretch goals, there is a potential for 2 more additional shorts. Recording will be throughout August. The session will include the main short, an animated teaser, and any additional promotional work for the Kickstarter. Melody is Caleb’s best friend. Since the day they met, she took it upon herself to always look after Caleb and sing songs of their escapades. She plans on traveling the world as a bard for famous heroes. 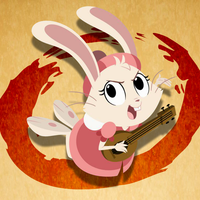 With her lute and ability to sing, this high-energy bunny is going to break away from her family and write her own story. (Tired) Doh-Li, remind me again why we had to go down to the Chamber Pot Tunnels so late at night? (Joking) Oh yeah! Viktor smelled like a sweet perfume for weeks! (Excited Confidence) I was born for this stage! 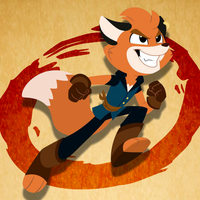 Viktor is a fox born into a family of thieving pirates, who no longer wishes to follow their ways. He wants to be known as the Robin Hood of the seas, but his ego sometimes gets him in trouble. He is an adventure-seeker that loves to be the center of attention. However, he has a good heart and he will never abandon a friend in need. (Disgusted/ Freak out) Eww, Get it off! Get it off! Get it off! Harper is a high-class stuck up girl that cares a great deal about her appearance. She will spend hours preening her feathers and picking out the perfect outfit. Harper wants to be the queen bee of the school, but she is going to have a hard time when there are so many talented kids at True Tail. Even though she can come off prissy she will always do her job to the best of her ability. (Angry) Hey! You’re interrupting my beauty sleep! (Pompous) Well, in my experience one must always travel by carriage and never sleep outside. Only animals do that. (Sad) I never intended for it to get this out of hand. 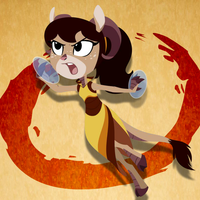 Doh-Li is a kirin, a mythical creature that is a cross between a dragon and a deer. 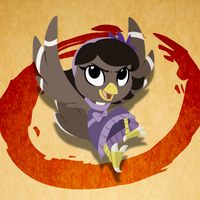 Doh-Li is a mage in training and dreams of one day being an amazing healer and traveling all over SplitPaw helping the sick and wounded. She is a very rule-oriented person and sees things in black and white. (Bossy) It’s not my shopping list! We are getting ingredients for our botany project. I, for one, plan on our team making high marks on this assignment. Unlike last time, where you caused everyone to break out in cherry blossom pox! (Annoyed) NO WAY! I’m not giving up my A in botany because Viktor botched this mission! (Threatening) You don’t understand. If I mess this up you might be stuck together forever!